Buffalo Chicken Wings are one of my favorite appetizers and one of our favorite restaurants serves the best! I’m still trying to perfect a copycat recipe so I’ll let you know when I do. So, this post is not to say that I’ll never eat chicken wings again, but Cauliflower Buffalo Bites are so tasty and full of the perfect Buffalo chicken wing goodness without all the bad fat from the wing skins. Ready in less than 30 minutes, the cauliflower bakes twice in the oven. The cauliflower first goes in with some dry seasonings and gets roasted just enough and then tossed with the wing sauce and butter (coconut oil works great for vegan option). The reason for baking twice is, you don’t want the wings to get soggy and this helps prevent sogginess from happening. I must insist one thing for your cauliflower buffalo bites; be sure to use Frank’s Buffalo Style Hot Sauce for the recipe. It makes all the Buffalo Wing difference! Cauliflower Buffalo Bites are so tasty and full of the perfect Buffalo chicken wing goodness without all the bad fat from the wing skins. *I probably use about 2/3 cup of hot sauce and they have just enough heat. Place on ungreased cookie sheet or baking pan and bake on middle rack for 15 minutes, turning florets once during baking. Check them at the 10 minute mark for desired tenderness. You don't want them to be soggy! Remove florets from oven. Melt butter in medium glass bowl. Add hot sauce to butter. 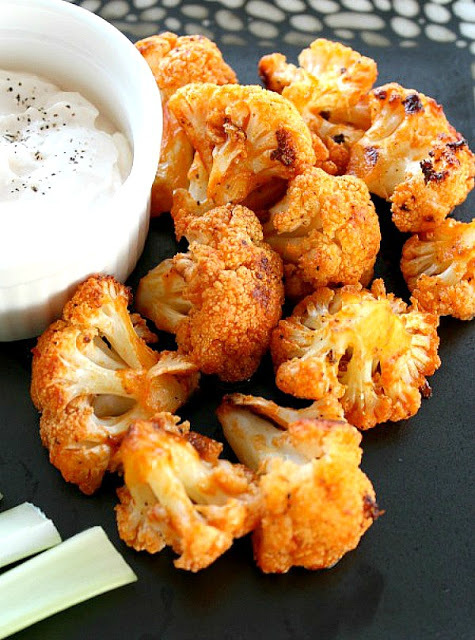 Toss cauliflower and stir to cover all florets with hot sauce. Start with about half the sauce and add more to your taste. 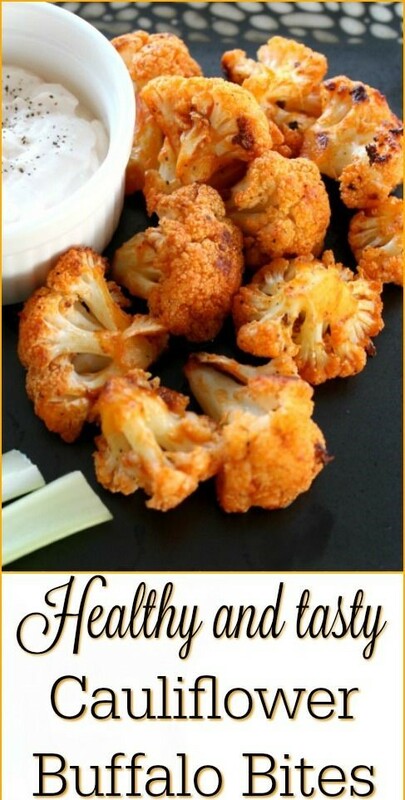 0 Response to "CAULIFLOWER BUFFALO BITES"